Huawei is a leading global information and communications technology solutions provider, who host global product launches and experiential learning experiences to introduce new products and share latest insights and developments. 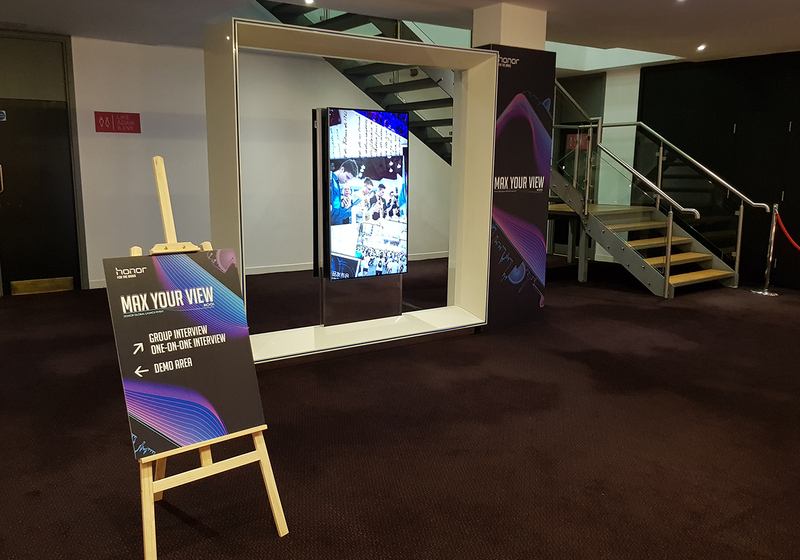 Huawei transformed the entire venue to replicate company branding as if it were their own head office, as they launched the Honor 7X & View 10 smartphones to the full EMEA Market. The Mermaid London was the selected venue for its impressive blank canvas capabilities, versatile spaces, including the Auditorium which can cater to 600 guests comfortably, and its accessible location in London. The full venue takeover included use of The Mermaid London’s adaptable event spaces; Auditorium, Foyer & Mezzanine, Upper River Room, Lower River Room, Queenhithe and Newgate Suite. 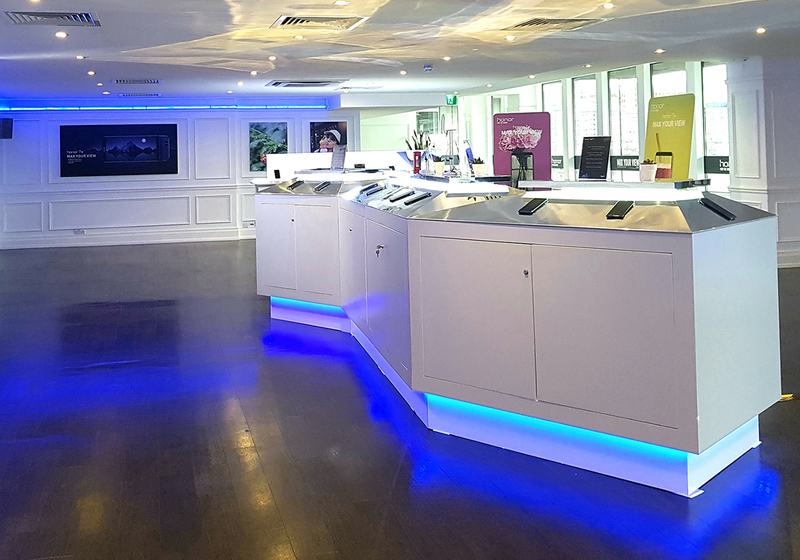 Throughout the 3rd and 4th December, the events team at The Mermaid London, Huawei and FreemanXP, a global brand experience agency, staged run throughs of the event and finalised all pre-event set-up. The official launch of Huawei’s smartphones, Honor 7X & View 10, took place on the 5th December. 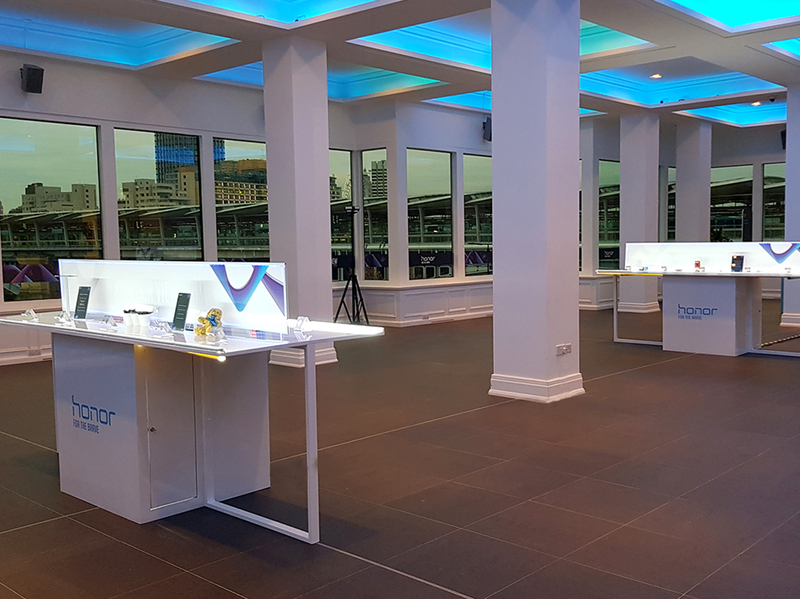 Guests arrived through the Foyer which was set up with branded registration desks and boasted an aqua blue lighting display. During the main product launch in The Mermaid London’s 600-seated Auditorium, a 12m x 4m HD back projection screen with a WATCHOUT system was set up alongside pre-positioned rigs, that produced a full bespoke lightshow including lasers and gobos revealing Huawei branding. 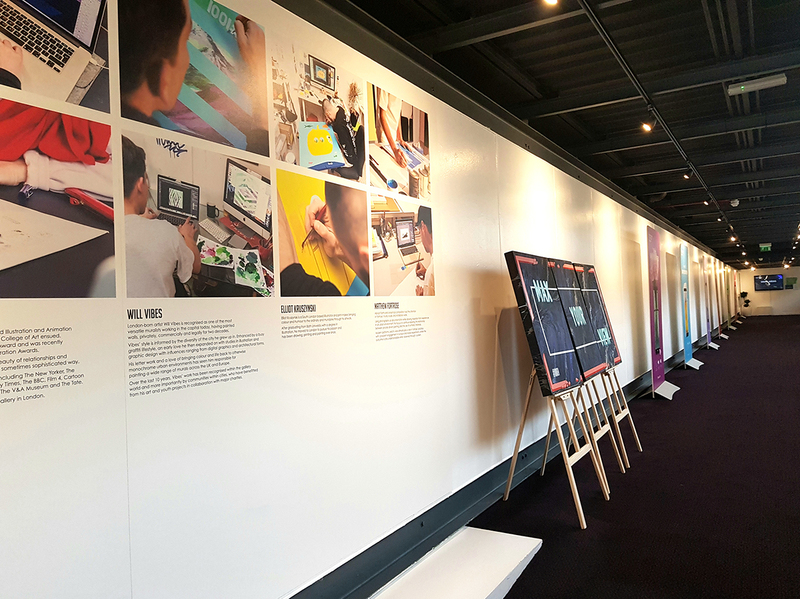 An LED HD display screen was set up in the venue’s Mezzanine space, showcasing live key note sessions and the product launch to overflow guests. This space was also used for product displays and networking opportunities. Both the Upper and Lower River Rooms were branded for exclusive product experiences after the official launch event. The Mermaid London’s Newgate event spaces were used for media interviews, group learning sessions and photo opportunities with key note speakers and VIPs. In addition to the standard Wi-Fi available, Huawei took advantage of the venue’s capability to cater to enhanced Wi-Fi alternatives to offer 1GB of super-fast Wi-Fi to all guests. This benefitted Huawei’s live streaming via Facebook and YouTube to international audiences including those in China and India. The team at The Mermaid London provided constant support, ensuring a smooth delegate experience throughout the event.